These are social justice statements and resolutions. Resolutions that have been passed by a congregational vote are in Passed, those that have not been put to the congregation are in Pending. Resolutions that are being considered by the Social Justice Council are in Under Consideration. 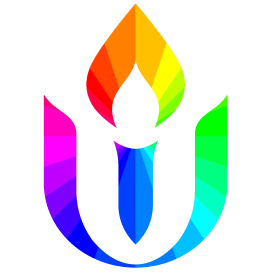 May 21, 2017, Resolved, the Boise Unitarian Universalist Fellowship is in agreement with the UUA/UUSC Declaration of Conscience and will become signers of the declaration. May 21, 2017, Resolved, the Boise Unitarian Universalist Fellowship supports the vision and goals of the Interfaith Equality Coalition and wishes to become a member of the coalition and to work together to bring equality, justice and dignity to all people through witness, education and advocacy.